There are so many images available online from the period 1912-1923 (the source of the ‘Decade of Commemorations/Centenaries’ I’ve written about before) that I decided to make a dedicated Pinterest board to store any that I find. Have a look, and if you like share and comment. The Carrick-A-Rede rope bridge, Co. Antrim, Ireland. Still in existence (and open to visitors!) today. Illustration from The Two Hemispheres by George Goudie Chisolm, 1885. The book The Two Hemispheres: a popular account of the countries and peoples of the world … Illustrated, etc. (1885) covers, as its title suggests, the whole world. Scans of its illustrations were among the thousands recently uploaded to Flickr by the British Library. 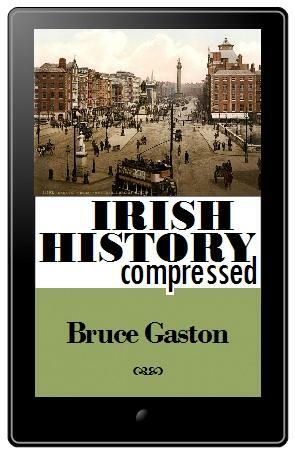 I’ve extracted and added to the Irish History Compressed Pinterest account the ones of sights in Ireland.